According to the Interim Management Association “interim management is the rapid provision of senior executives to manage change or transition”. 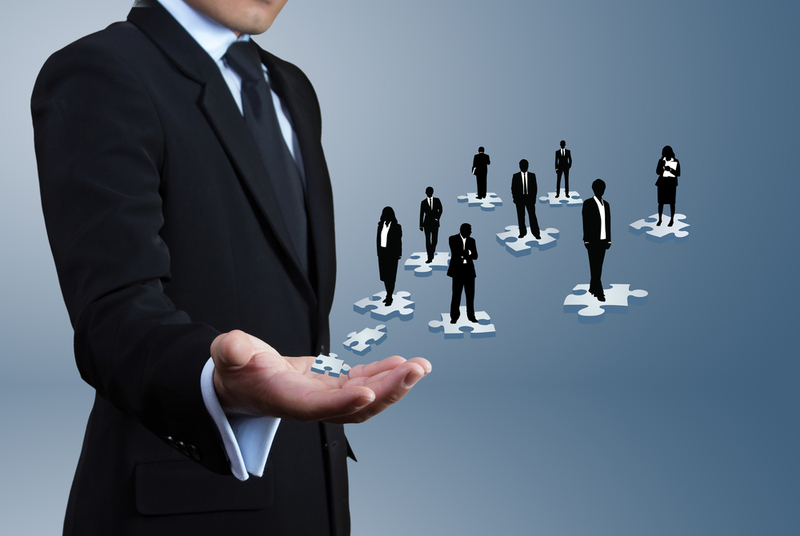 Put simply, interim management is a temporary hire of experienced management. Interim management often consists of a short-term assignment where a firm brings in an experienced executive manager during a period of transition or when there’s a need for an objective outsider’s perspective. Interim management is much more than hiring temporary help or a management consultant because interim managers are executives with experience and proven records of success. Executives who choose to consistently act as interim managers often rely on referrals, so their next assignment will depend on how well they do in their current assignment, thus incentivizing high performance. Unlike management consulting, interim management identifies a problem and enacts the solution while working with the original team or department. Choosing to hire an interim executive can see Chinese businesses through a difficult time or help enact new strategies within the business. What are the advantages of interim management? Although the prospect of bringing in temporary management to your business in China can seem risky,it has many benefits. Interim managers are good value for money, as there is no vacation pay, pension, or company account required. There’s also the advantage of instant results. Rather than having to spend time training or a honeymoon period with a new hire, interim managers start delivering results within days, not months, as they are experienced and ready to start. In China this is especially useful for companies looking to make fast structural changes to the business. Another advantage of interim managers is that they offer objectivity. An interim manager will be comparatively free of bias and not involved in any office politics, thus they can lend valuable insightinto performance appraisals. Foreign interim executives with working experience in the Chinese market and understanding of the cultural differences are able to facilitate communication between the Chinese management team and the overseas headquarters. Interim management is not as widely practiced in China as it is in Western countries. Interim management has existed in Europe since the 70s, but is still new for China. Companies may hire consultants for performance appraisals or when management needs an external opinion, but hiring an executive for a short-term assignment is a relatively new practice. Both large and increasingly mid-sized businesses are now starting to use interim management in China. The number 1 reason for recruiting an interim manager is to help during a transition period until a permanent manager can take over. Difficult situations such as setting up a manufacturing plant in China, a change in management, or restructuring are also reasons to use interim management. HR, IT, or sales are the main departments that may recruit an interim manager, although general management or production related tasks are also popular assignments for China’s interim management. Assignments typically last between 4 and 12 months, but can extend to as long as 24 months. Who are China’s interim managers? Expatriate executives have worked in China and throughout Asia for decades. While some came in on expatriate contracts that were meant to be short term, others stayed in China by renewing their contracts, moving on to a different company, or becoming interim managers. There are currently very few senior interim executives in China who can enact big changes with their experience. Given the small number of quality interim managers the best are hard to acquire as these individuals are always in demand. Regardless of the state of the Chinese economy there will always be a place for good interim managers as companies make changes or have transition times no matter whatthe sector or state of the market be. A large percentage of interim managers in China right now are foreign executives. Although there are some Chinese interim managers, most do not complete regular assignments. There are several reasons why there is such an imbalance between foreign and local interim managers in China. One is cultural differences, as Chinese society values security and the precarious short-term assignments of interim management is off-putting to some. Another reason is that experienced Chinese managers are in their late 50s and may have limited English skills, making them unappealing as interim managers to MNCs. That is not to say that Chinese interim managers do not exist. There are some Chinese interim managers in the 30-40 age range. Compared to other countries in Europe, where 54% of interim managers are within the 51-60 age group, China’s interim managers are fairly young, possibly due to an increasingly entrepreneurial mindset of the younger generation of Chinese executives. In fact, Chinese businesses are lacking qualified interim managers to address the many economic and structural changes happening in China right now. China industrialized quickly, becoming a manufacturing giant much faster than many other countries. However, now economic growth is slowing and China must face new challenges such as rising cost of wages, more complex value chains, and consumers becoming more sophisticated and demanding. There is also a need for applying lean manufacturing principles and a shift from manufacturing into services, which not all managers are equipped for. Many of the key problems facing the Chinese economy are partly due to lack of experience, which interim management can address. China faces a talent crisis with executives, as local talent may not have the experience to be effective, while expatriate talent may lack the cultural sensitivity to make a team successful. The rapid development of China’s manufacturing sector means that many workers are relatively new to the job. Frontline managers lack the expertise to identify problems that typically arise with new plants and ventures. To address the problem of management being reactive instead of proactive, interim management in China could provide the necessary skills and advice to help address problem areas in a company and teach management how to focus on problem solving and coaching rather than putting out fires. With changes to the manufacturing sector there is a shift towards more robust R&D, but also businesses shifting their focus to the service sector. Chinese managers are not used to restructuring or downsizing a business since the economy had been growing so rapidly over the past decades. For many Chinese managers there is limited experience in managing organizational change processes. Interim managers would be able to assist during times of transition such as major restructuring, and provide objective advice to managers who may be uncomfortable with the changing situation. With the economic and structural changes being made to the Chinese economy businesses are needing to rapidly adapt, sometimes using managers with limited experience in transitional situations such as downsizing. Interim management in China is a potential solution that can help businesses during their transitions, setting them on a path of continuous improvement, rather than trying to just get by. Although there is still some resistance to interim management in China, using interim managers seems to be becoming a more popular tool with each passing year.